I am so into sweets and beverages, My Favorite cookies are Mini Chips Ahoy! soft & crunchy. Plus I love the roasted Nuts (Rifai mixed nuts) where they drive me nuts! 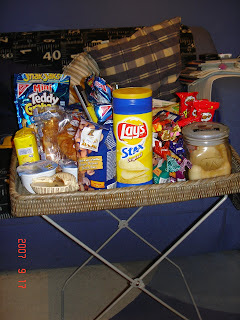 and now since Ramadan started, I am not able to eat more from these stuff, as after having my Fotor I feel full and can't have more from these things, maybe in weekends while I stay awaked since I don't have work in the next day, I spent my time eating from these stuff and watching movies as usual. Z.: ^__^ now you remind me of the trampoline "it was fun". Z.: It's ok :) you don't have to be sorry! Why don't you have some cookies from my tray, then scroll down to my previous post "Filling My Refrigerator" and get your self a cold beverage.